The Coaching Community of Practice focuses on serving the needs and interests of the our Members in the coaching community within the GOOD Network. provide a community where those interested in the coaching field can informally discuss and share experience. provide a forum for learning new and/or different aspects of the evolving field of coaching. discuss books that are relevant to the coaching profession. We meet to share coaching resources, review a book, share assessments and discuss coaching challenges and approaches. All members with an interest in coaching are invited to join us. 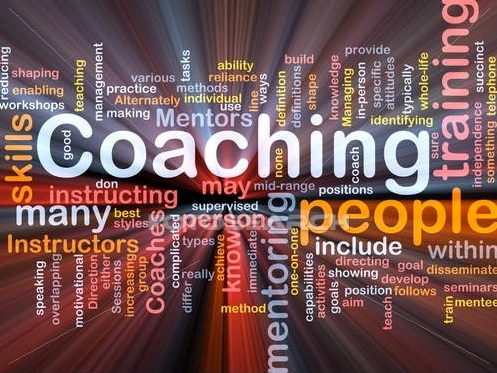 The Coaching Community of Practice meets monthly on the 2nd Friday from 11:30 AM to 1:00 PM at various locations. Each meeting will be announced through emails and registration will be available on the website. 2019 Meeting Dates: January 11, March 8, May 10, July 12, September 13, November 8. Check out our EVENTS page to learn more about the next Coaching Group meeting and to register to attend. GUEST POLICY: If you are not a member of GOOD Network, you may attend one bi-monthly meeting or Community of Practice meeting as a first-time guests to check us out. Please register on the website for the meeting. Returning guests are asked to pay a $35.00 meeting fee. This is a discussion forum for the Coaching and all members can view, post, and comment. You can also upload documents to share with your colleagues. Scroll to the post "Tips for Using the Learning & Development discussion forum" to read a short tutorial. It explains how to go to your "MY PROFILE" page and set the frequency of email notices you can receive to be alerted to posts. Your first step is to SUBSCRIBE to FORUM below. The Coaching CoP discussion group is for all members interested in Coaching.